This year the T3 Awards have a special new amazing category - Gadget of the Decade! If you're wondering why, wonder no more. It's because the T3 Awards are 10 years old this year so we thought it made perfect sense to celebrate with the biggest award to date. EXCITING! There were 16 products shortlisted - see below - and we put them head-to head- we've now whittled these down to the final four! It's been a bit like the World Cup but without the silly group stage-ness. Initially we put the 16 head-to-head. Apple iPhone vs Netflix - we'll reveal the result at this week's T3 Awards 2016 powered by EE on Wednesday night! What are the T3 Awards? The T3 Awards is the UK's biggest and most prestigious technology and gadget awards, celebrating the game­-changing products and people that transform the world we live in for the better. Celebrating its tenth anniversary this year, the T3 Awards are known as “the Oscars of Tech,” and not only by us. Indeed, a T3 Award has become one of the most prestigious prizes in the industry, given only to the greatest gadgets, the best brands and the most innovative, er, innovators. Not surprisingly, Virtual Reality has a big impact on this year's nominations. The HTC Vive receives three for Gadget, Gaming Product and Innovation of the Year. The Oculus Rift, whose founder Palmer Luckey was 2015's Outstanding Achievement recipient, has two (Gadget and Gaming Product of the Year), with the Samsung Gear 360 nominated for Innovation of the Year. Samsung is this year's most nominated company with an incredible 11 nods. Apple and Sony/Sony PlayStation pick up six each, and go mano-a-mano-a-mano with Samsung for Phone and Brand of the Year. 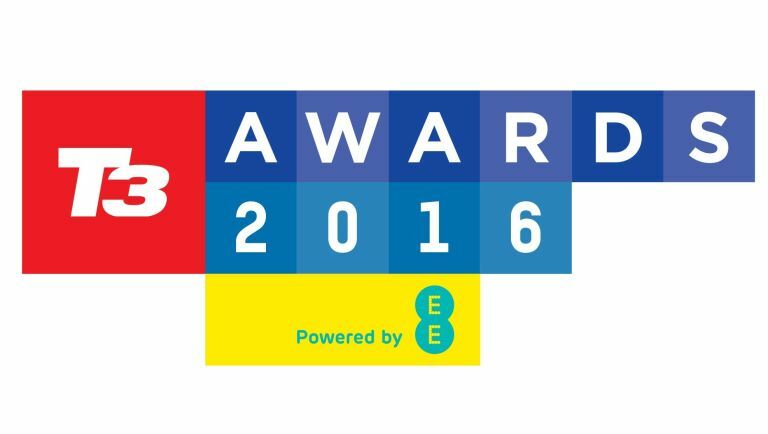 Check out everything there is to know about the T3 Awards 2016 powered by EE.